Cook pasta per package directions, rinse and drain. 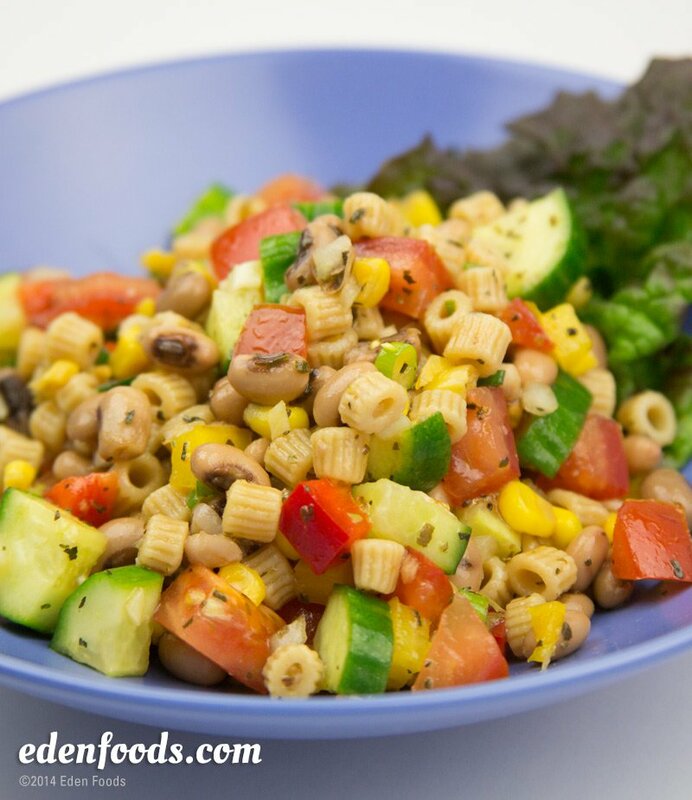 Place the pasta, tomatoes, corn, green and red peppers, green onion, red onion and cucumber in a medium mixing bowl. To prepare the dressing, place all ingredients in a blender and pulse several seconds, or place in a sealed glass jar and shake to mix. Pour the dressing over the salad and toss to mix. For the best flavor, chill 1 hour before serving or it can be serve at room temperature.